If You're Tired of a Hectic Lifestyle, Take a Break And Head to Dandiganahalli Dam. Want to lap up a slice of paradise this weekend? Hop on your bike and make your way to the scenic Dandiganahalli Dam, close to Chikballapur. It makes for a great weekend getaway, especially for those living in Bengaluru. 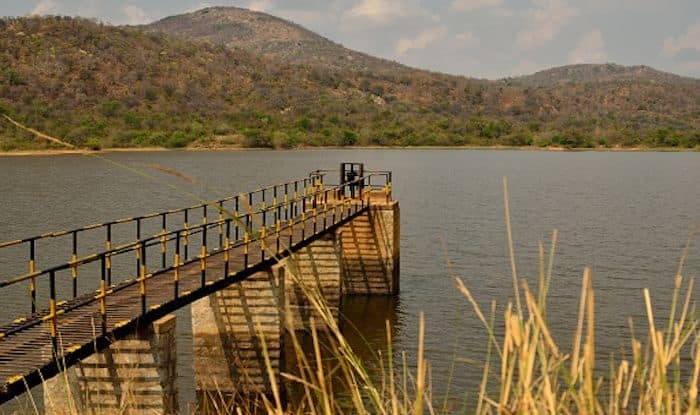 If you’ve checked off all the popular road trip destinations around Bangalore and are in search for a location unspoilt by tourism, Dandiganahalli Dam is your answer. Unknown to most, this pretty spot is just around 90 minutes away from Bengaluru. To get to this small reservoir that’s surrounded by rocky, green hills all you have to do is take the highway and then navigate a few villages. There’s a long bridge here that runs right into the waters and makes for a great spot to take some spectacular pictures. Dandiganahalli Dam is perfect for spotting colourful birds and trekking the nearby hills. However, the best thing to d here would be to bring a picnic basket; it’s so quiet and clean, it looks straight out of a movie. You will see a range of mountains covering the river from both sides. If you visit during monsoons, these mountains are engulfed by clouds making for a nice landscape for photographers. The water isn’t safe for swimming because there are multiple signboards that warn you of crocodiles in water. There’s a trail leading upto a height here; from where you can have a bird’s eye view of the dam and the surrounding areas and if you follow it further it’ll lead you to the trek in the hills. Taking a road trip is the best way to reach this place.